Landi and Gerhard are tying the knot on the 21st of March 2015 at the spectacular Cape Point Vineyards. 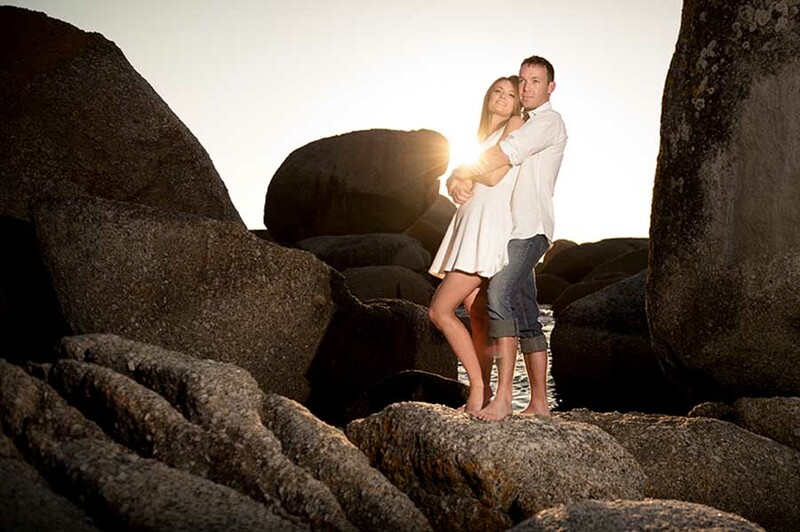 We had a pleasure to capture this lovely couple on one of the gorgeous beaches near 12 Apostles Hotel and Spa. It was such a treat to photograph these two beautiful people together! Landi and Gerhard have this amazing connection that makes them act naturally. They are truly enjoying each other’s company and they have a lot of fun together! Since they are both good looking and spontaneous, this Cape Town engagement shoot was bound to look goregous! We have picked a specific location in Camps Bay for our Cape Town engagement shoot. This small hidden beach was perfect for the shoot. Massive boulders create a variety of forms to explore and use for the shoot. Landi and Gerhard bravely jumped from one rock to another, naturally posing for photos. We timed our Cape Town engagement shoot perfectly for the sunset! The last photos were taken as the golden sun disappears between the rocks. 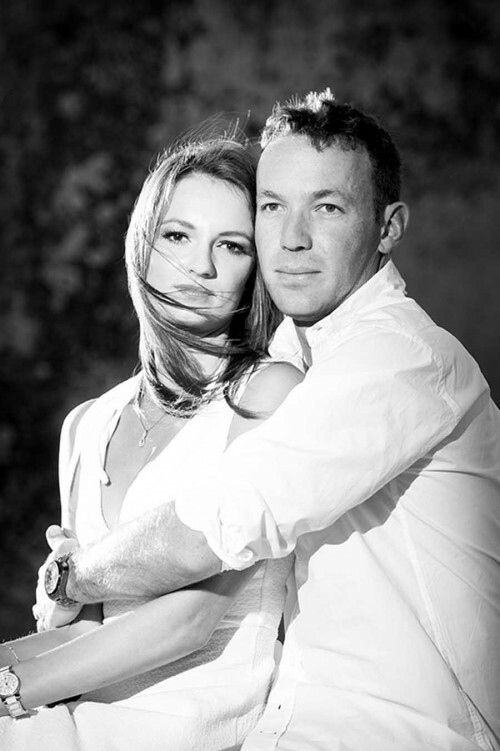 Landi and Gerhard were very relaxed during the session and enjoyed their Cape Town engagement shoot. 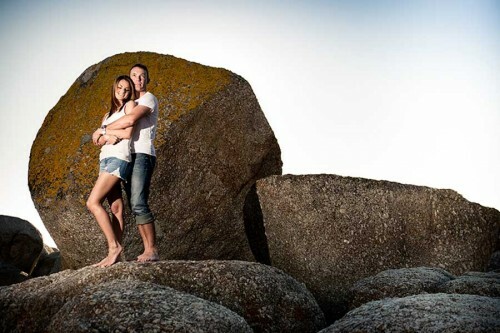 We managed to capture some great images of the couple amongst the boulders. This secret spot is always a surprise and I love taking my clients there, as every shoot is different in this magical location. I can’t wait to see Landi on her wedding day, having her hair and make-up done and dressing up in her Enzoani wedding gown! This engagement session is a solid proof that the camera loves Landi. I hope Landi loves the camera too! Thank you for your patience and all the lovely smiles. 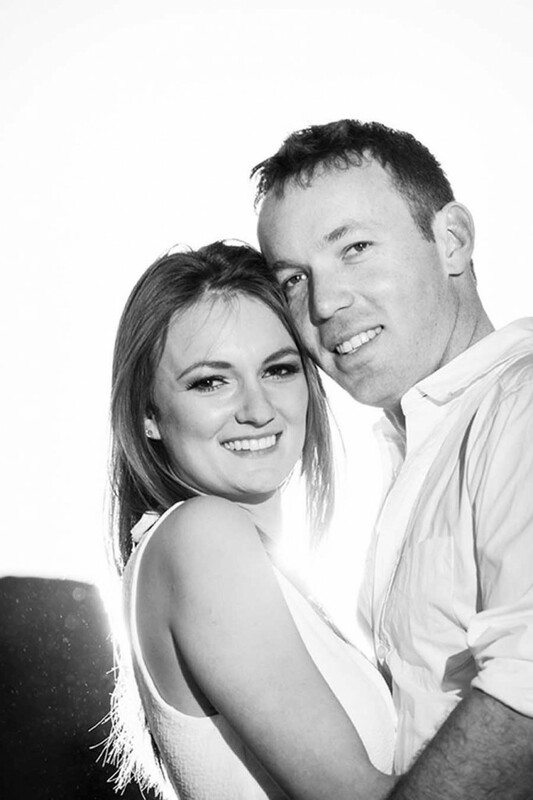 We will be there on the 21st of March to capture the first day of their journey together!